Provident Fund (PF) is the most powerful source of retirement corpus of salaried individuals. We all know that we get PF only after our retirement. Suppose, you have requirement of fund for repairing of home, the marriage of your sister or you want to prepay your home loan. Don’t worry. EPF can give you some relief in your money crunch situation on account of those reasons. You can get a non-refundable advance from your accumulated EPF corpus. 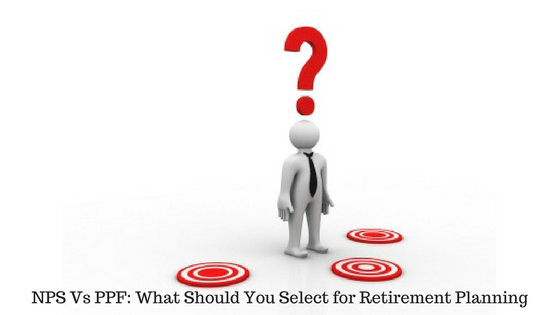 There are total nine cases in which you can withdraw PF amount partially before retirement. If you have NPS account, you can also withdraw partially from NPS account. Are you planning to buy a house or a flat or do you want to buy a land for construction of your home? If you are short of money, you can withdraw some PF amount to fulfill your wish. For the above point a, the payment will be directly done to concerned agency. For other cases, the amount will be paid directly to the member. You have to complete at least five years as EPFO member to be eligible for this withdrawal and you are allowed to withdraw one time only. For the construction of the house, it may be with multiple installments as required. You have to fill up the form 31 and submit the same to the EPFO or employer for withdrawal. You can use the PF amount to repay your home loan. If you are too uncomfortable with your present level of EMI and want to reduce the EMI, this can help you in a big way. Though it is not wise to prepay the home loan considering the present interest rate somebody can think of it who needs a debt free life. You need to complete ten years of service or membership to avail this benefit and you will get the chance of availing this once only. You have to apply with form 31 and the payment will be directly done to the lender i.e. bank or NBFC where from you had taken the home loan. Suppose, you are getting a gross salary of Rs 1 lakh per month. Out of this, your basic pay and DA is Rs 30,000 combining both. Now, in this case, 36 months basic wages and DA is RS 10,80,000. If you don’t have this much money in your account and you have only Rs 8 lakh in your EPF account, then you will get Rs 8 lakh for the repayment of the loan. You can have non-refundable advance from EPF, if the company is closed for more than 15 days, or you are not getting salary continuously for more than two months. If the company is closed for more than 6 months and you are unemployed, you can the advance. The following conditions are applicable in this case. You can avail this benefit when you face this situation. There is no restriction on how many times you are using this facility. There is no requirement on the minimum membership period also. In case of lockout/closure of establishment for more than 15 days, And The employees are rendered unemployed without compensation OR Employee has not received wages for more than 2 months continuously (for reasons other than strike) Employee share with interest Certificate from the Employer in Certificate Form A and B, as applicable. You can withdraw your PF for the marriage purpose. The marriage is applicable for you, children and siblings. You have to complete the seven years of service to be eligible for withdrawing this amount. But, you cannot withdraw the full amount what has been accumulated so far in the PF account. You can withdraw only 50% of your contribution (with interest) towards PF and the withdrawal is applicable for a maximum of three times in your life. You have to fill up the form 31 and submit to EPFO for withdrawal of amount. You can withdraw 50% of your contribution (with interest) to meet the education expenses of your children. Post-matriculation education is applicable in this case. The minimum completed year of service is seven. You can withdraw the amount a maximum of three times combining education of children and marriage as stated above, in your membership tenure. A certificate regarding course of study and estimated expenditure from Head of Institution is to be submitted to EPFO to avail the withdrawal. Medical causes are one of those for which you can withdraw your PF partially. If you don’t have health insurance and some major illness or hospitalization has happened to you or your family member, you can withdraw EPF to pay the bill. Suffering from T.B., leprosy, [paralysis, cancer, mental derangement or heart ailment] and having been granted leave by his employer for the treatment of the said illness. The employer certifies that the Employees’ State Insurance Scheme facility and benefits are not available to the member or the member produces a certificate from the Employees’ State Insurance Corporation to the effect that he has ceased to be eligible for cash benefits under the Employees’ State Insurance Scheme. A doctor of the hospital certifies that a surgical operation or, as the case may be, hospitalisation for one month or more had or has become necessary [or a registered medical practitioner, or in the case of a mental derangement or heart ailment, a specialist certifies that the patient is suffering from T.B., leprosy, paralysis, cancer, mental derangement or heart ailment. If the EPFO officer or the authorized subordinate to the officer is not satisfied with your provided medical certificate, he or she can ask another medical certificate to his satisfaction. You have to submit a medical certificate from competent medical practitioner to avail this non- refundable advance. If you have attained 54 years of age and away from retiring the service less than one year, you can withdraw PF partially. It can be availed for once in a lifetime and you can withdraw 90% of the accumulated corpus. If you withdraw your PF amount within five years of becoming a member, you will be liable to pay the income tax. Income tax of 10% is applicable for the person with PAN and 30% for the members without PAN. If the withdrawal amount is below Rs 30,000 there is no tax, you have to pay. You can always submit the form 15G/ 15H as applicable for not deduction of tax if your income with the withdrawal amount is below the basic exemption limit of income tax. The member has to fill up the form 31 with the necessary document as applicable for the purpose in which you are applying. You have to fill up the form with PF account number, bank account number in which you want your money to be deposited and other details. Recently EPFO has launched a new composite form for full as well as partial withdrawal from PF. The new form is with two versions, one is AADHAAR based and another is for those who don’t have AADHAAR. PF amount is for your retirement. It is always advised not to withdraw any amount of PF corpus before retirement. Moreover, with the introduction of UAN, the services related to EPF have become smooth and easy. You can easily combine the EPF accounts with single UAN. Provident fund is the greatest source of retirement and you have done your retirement fund calculation based on the PF amount. If you withdraw some of it also, it can lead to you a different situation during retirement. Hence, when you are in a situation requiring money, think of a separate source, make a proper plan, have some contingency amount and do health insurance for hospitalization. Share the article with others. If you have any experience or suggestion, please comment below in the comment box.